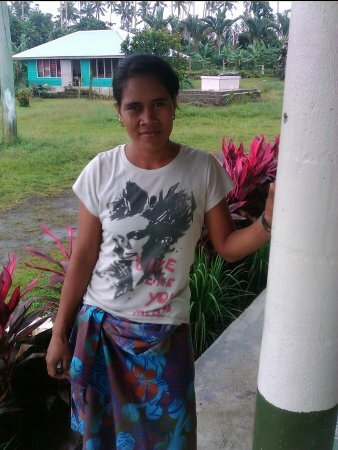 Vailetai is 26 years old and married with three children. She runs a small business selling pies, pancakes and coconut buns in her community, and has been doing this for many years. Vailetai has requested a loan to buy sacks of flour, sugar, baking soda and dripping oil. She joined SPBD in 2012 to gain access to capital. With her earnings, Vailetai will improve her business.